Facebook is teaming up with Automattic (parent company of WordPress.com) to release a plugin that will make it easy for anyone using the publishing platform to post speed-optimized Instant Articles onto the social network. Facebook announced a couple of weeks ago that it would open up Instant Articles – posts that have been formatted and optimized to load almost immediately on mobile – to any publisher without a special approval process. While that was great news, it seemed like there might still be a barrier for amateur publishers without the coding skill necessary to implement the format on their own blogs. The company realized this could be a problem, hence teaming up with WordPress for the plugin. Standard WordPress templates should work out-of-the-box, but those with customized sites will need to extend the platform to support any extra features. WordPress powers more than 25 percent of websites (not just publishers), according to Facebook, so making it easier for WordPress users to sign up for Instant Articles makes a lot of sense – especially if Facebook wants to become your all-in-one news source. 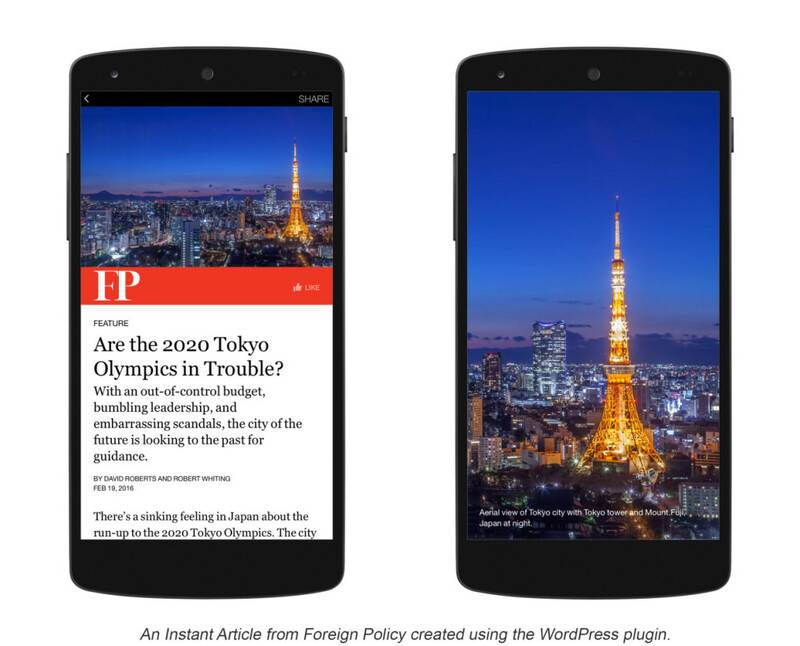 Facebook says the plugin will be available before it opens up Instant Articles on April 12. If you publish on WordPress, you can read more about the implementation in the support documents or FAQs. This post previously stated the plugin was built by Facebook, when it was built by Automattic in partnership with Facebook. It’s since been corrected.